I hope you are all having a great Sunday and are enjoying great weather like we are here in Los Angeles. Today’s blog will focus some of the best male signers in the movie industry. David McCallum – Super guy and always takes care of his fans. Robert Redford – Great signer! I have never seen him turn anyone down. Jon Voight – Another fantastic signer! A true class act. Eli Wallach – This movie icon if a very nice man and a great signer. Henry Winkler – “The Fonz” is one of the nicest people I have ever met. I have never seen him turn down anyone. Martin Sheen – Speaking of nice guys……Mr. Sheen is one of the classiest actors you will ever meet. He even thanks you after he signs. 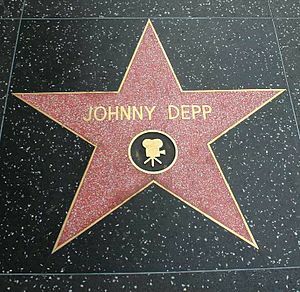 I hope you enjoyed today’s blog on these ten great Hollywood signers. As always, please feel free to check out my web store at http://www.autographedfirstdaycovers.com . This entry was posted in Uncategorized and tagged Clint Eastwood, David McCallum, Ed Asner, Eli Wallach, Henry Winkler, Johnny Depp, Jon Voight, Martin Sheen, Robert Redford, Robert Vaughn. Bookmark the permalink.